If YOU bring your furniture to our cleaning plant! See our Articles on Upholstered Furniture Cleaning here and here. when scheduled during the furniture cleaning appointment in your home or business. CALL ABC at 607-272-1566 for more information. PLEASE NOTE: Discounts applied to services MUST be above our minimum charges and CANNOT be combined with other discounts. Services must be performed in the month they are offered only. The White House Easter egg roll is as American as apple pie! But do you know the history? In the 1800s, the rolling lawns of the U.S. Capitol were an irresistible target for kids on Easter Monday. One of the few days off for kids and adults, Easter Monday also included lots of leftover hard-boiled eggs! The Capitol soon became the site of egg rolls, in which children would compete to see whose egg could roll farther without breaking. It has also been suggested informal egg-rolling parties may have begun under Abraham Lincoln's presidency. By the 1870s, Easter Monday egg rolling on the West grounds of the White house had become hugely popular. In 1876, 10,000 children showed up to roll eggs! According to history.com, the spectacle was so noisy that no business could be done in the House and Senate chambers. By the end of the day, the lawns were in ruin. Outraged Congressmen immediately wrote legislation protecting the Capitol turf. President Ulysses S. Grant signed a bill banning the rolling of eggs on Capitol grounds two weeks later. A showdown was avoided the next year when rain discouraged the annual invasion of egg rollers. However, on April 22, 1878, even though police had discouraged children from entering the White House grounds, President Rutherford B. Hayes came to the rescue and welcomed players to the White House backyard. That was the first official White House Easter Egg roll. In 1889, President Benjamin Harrison added music from the United States Marine Band to the festivities. During those more innocent years, families picnicked on the lawns while the kids rolled eggs, leaving behind dead grass, trash, broken egg shells, and many hidden and increasingly smelly eggs! By 1937, the annual crowd had grown to 50,000 inadequately accommodated people on the South Lawn. Egg rolling at the White House was interrupted by World War I, from 1917 to 1920 and World War II, from 1943 to 1945. From 1946 to 1952, food conservation and construction on the White house prevented White House Easter egg rolling celebrations. For post-war history and how the White House Easter Egg Roll is celebrated today, please continue reading here. Weaving in the Caucasus regions can be traced back as far as the Bronze age. Kuba was at one time a Khanate (state or region) of Persia. In 1828, Persia divided Azerbaijan and the territory of today's land became part of the Russian empire while the southern part of Azerbaijan became part of Persia. Azerbaijan became an independent nation in 1918 but in 1920 was absorbed into the Soviet Union. It finally gained its independence as a sovereign nation in 1991. Each region of Azerbaijan had a carpet weaving school established hundreds of years earlier. The schools were named for the various regions. There were Kuba, Baku, Shirvan, Gendje, Kazak, Karabaugh, Nakhichevan, and Tabriz. 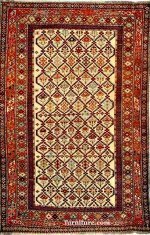 The Kuba region was the largest rug center in Azerbaijan. The town of Kuba was in early times a collection point for rugs from the mountainous region (just as Gendje was) due to its location. Although, as we will see below, there are many subtypes of Kuba rugs, generally speaking, the foundation was usually constructed with wool though cotton was sometimes used. 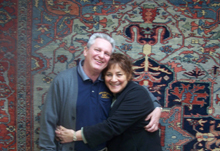 Kuba rugs had detailed and tightly woven patterns. They used some medallion motifs but because they had so many other designs, they did not use medallions as often as other regions in the Caucasus. 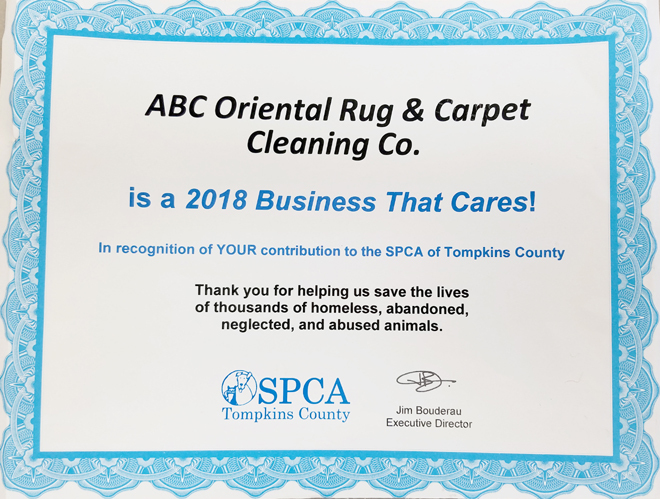 To see examples with photos and to learn more about Kuba oriental rugs, please continue reading here. Jute natural fiber is one of the most affordable natural fibers and is second only to cotton in yearly production and it's variety of uses. The majority of Jute natural fiber is extracted from the long stems of the white jute plant known as Corchorus capsularis. White raw jute is also known as 'bangla white jute.' It is primarily used for yarn, twine and rope. There is also a third jute plant called roselle or Hibiscus sabdariffa, which is related to the other varieties of jute and has similar uses. About 95% of all the jute in the world is grown in South Asia in India and Bangladesh. India produces the largest of amount of jute and also some kenaf. India exports a large amount of jute products and the rest is used in India domestically. Bangladesh exports jute as raw fiber as well as manufactured items. China produces mostly kenaf and Thailand produces both kenaf and roselle. The history of raw jute goes all the way back to the 17th century when the British East India Company first began trading in raw Jute. India's jute-processing industry began in 1855 with Calcutta as the major center. India's partition in 1947 left much of the jute-producing land in East Pakistan, now the independent country of Bangladesh. Jute typically grows best in well-drained, sandy loam and needs an average monthly rainfall of at least 3 to 4 inches during the growing season with a humidity of 60% to 90%. The plants grow to an average of 10 to 12 feet with finger-sized cylindrical stalks. Jute plants are cultivated close together so the plants grow tall and straight. Jute natural fiber is a bast fiber obtained from the inner skin or bast tissue of skin surrounding the stem of the plant. Jute is also called the 'Golden Fiber' due to its golden and silky shine, as well as its importance. To find out how Jute is processed, the advantages and disadvantages, and its multitude of uses, please continue reading here.